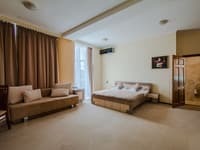 Express Hotel is located in the center of Kiev near the picturesque botanical garden, the famous Vladimir Cathedral, in 20-25 minutes walk from the Central Railway Station and Khreshchatyk Street. 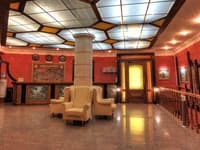 The hotel has 143 rooms of different categories and decorations. Rooms are equipped with telephone, TV, shower, air conditioning, refrigerator. Free Wi-Fi is available. 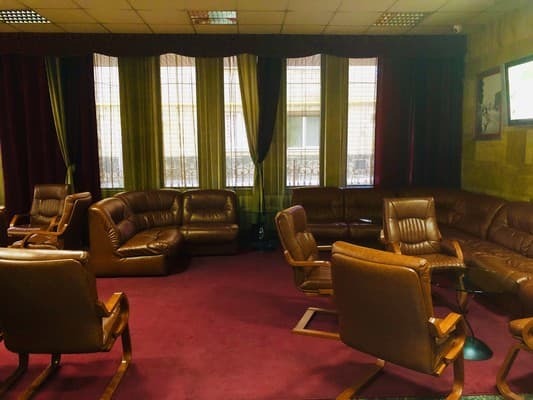 There are also 3 conference halls (10/30/200 places) for holding conferences, seminars, presentations, business meetings; restaurant "Express" with a panoramic view - on the 16th floor of the hotel, where the clients enjoy the wonderful landscapes of the Botanical Garden and the Vladimir Cathedral. The restaurant's chefs offer a wide selection of national and European dishes. 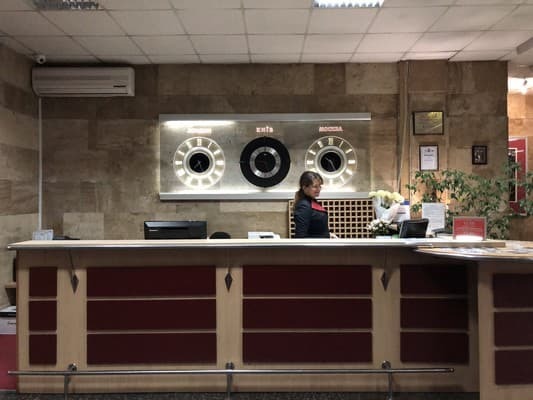 The hotel guests can use the luggage storage, laundry services. The distance from Borispol airport is 36 km, from the railway station - 1 km. 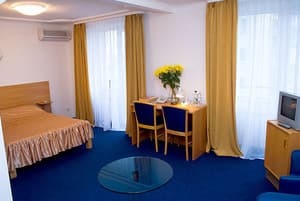 Description of the room: Modern design, cozy, warm atmosphere, all rooms are individual and different in the interior. Balcony, satellite TV, fresh press, telephone, hairdryer, refrigerator, air conditioning, 24-hour service. 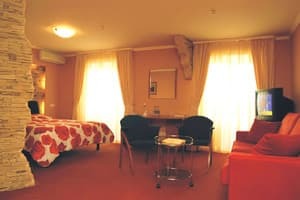 Description of the room: Modern design, cozy, warm atmosphere, all rooms are individual and different in the interior. Balcony, satellite TV, telephone, hairdryer, refrigerator, air conditioning, 24-hour service. Привітний персонал, в готелі тихо спокійно. Сніданок нормальний. Расположение отеля, комфорт, чистота, отсутствие табачного дыма и сторонних запахов в номере, хороший завтрак. внимание на рецепции. обслуживание в ресторанах. кухня. Спасибо повару-идеальный шведский стол! Чистые постели - спасибо. в Киеве много старых гостиниц с советским уровнем и это одна из них! в номере деревянные окно и дверь на балкон с щелями в палец! начались холода и ветер задувал в номер, холодно жутко! все очень старое,но относительно чистое. Реальная стоимость номера без душа не 470грн заявленных, а 200 грн и то только потому что рядом с жд вокзалом. ненавязливий сервіс та персонал, включений сніданок. Зручне розташування (близькість до метро). Замечательное расположение гостиницы-центр Киева!Потрясающий вид с балкона!!! Уютно,есть самые необходимые преметы,очень компактно!Но,в тоже время достаточно Места!Радушный персонал,современное качество!!!Довольна,рекомендую!!! Немного шумно,происходит уборка выселеных номеров!!! Очень шумно в номерах, выходящих на бульв. Шевченко. Отсутствие кондиционера. В одноместных эконом номерах душ на этаже. Платная камера хранения. Accommodation of children under 5 years old free of charge in the available places; children under 12 years old live with a 50% discount. 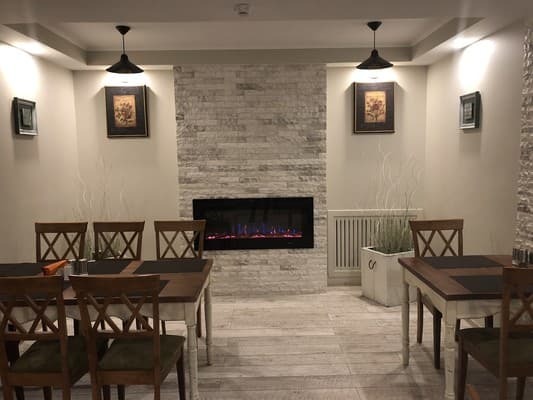 Restaurant Jardin is open from 10-00 to 22-00, offers guests European cuisine. 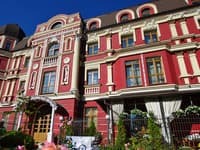 The Express Hotel is located in the center of Kiev, next to the botanical garden, the famous Vladimirsky Cathedral, 20-25 minutes walk to the Central Station and Khreschatyk Street. 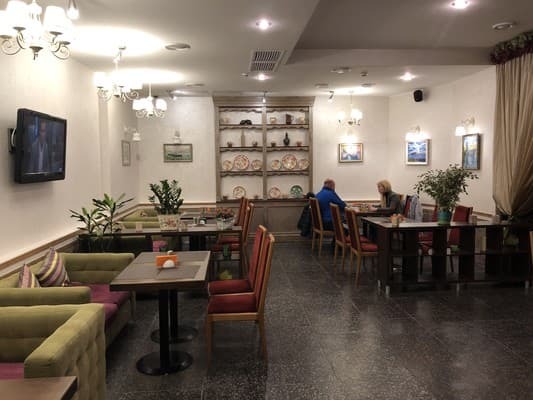 The distance from Boryspil airport is 36 km. 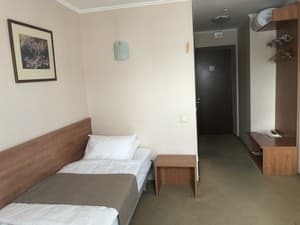 From the airport "Borispol" you can take a bus "Sky Bus" to the central railway station "Kiev Passenger", which is located in 1100 meters from the hotel "Express".